Sticky note flags in five colors. 60 sheet spiral bound plain memo pad. Mini ball point pen inserted in elastic loop. Very good product for price. Looked very sharp and received many nice comments. 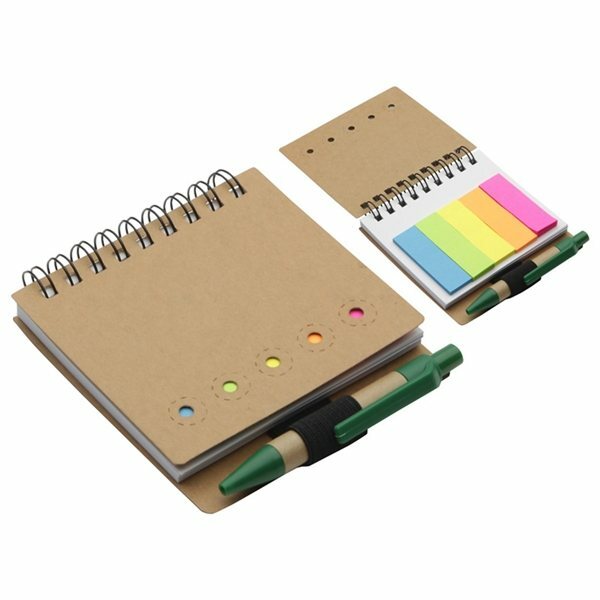 Note pads are always the answer for company giveaways- useful, always visible on top of clients' desks. We got these today and we're very happy about our order. I liked the color best. Excellent! My managers loved them I anticipate handing them to the rest of the employees at our all-hands in event in December.